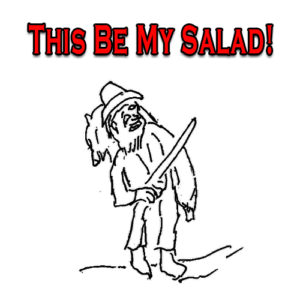 Super Salad #4 Will Build Bodies of Steel and Provide Energy. 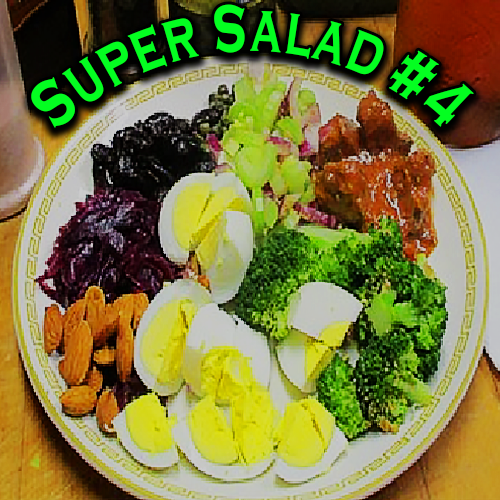 Super Salad #4 has meat, cheese and eggs for extra protein to fuel a body for a long, hard day—or night. 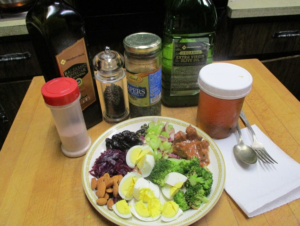 Winter or summer, we need fuel that includes protein and fats—plant as well as animal fat. Homemade red cabbage sauerkraut. Contains a wonderful supply of probiotics. Raw almonds. Much fiber and protein. Steamed broccoli. A powerhouse of nutrients. A tablespoon of Capers: these little devils contain many nutrients. Salt and pepper to taste, or just plain iodized table salt. Two tablespoons of homemade fire cider. don’t fight my taste buds.